Mile 22 is a 2018 Action movie directed by . It stars Mark Wahlberg, Lauren Cohan, Iko Uwais, among others. 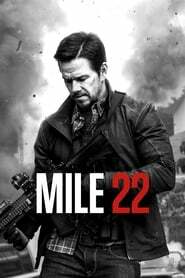 Mile 22 is currently rated 6.0 stars on the ReelBugs scale. Who's going to see the movie only because of Iko Uwais? CL AND Iko Uwais? Sold. CL gonna be in this! Hey Hey Indonesian friends. English man here also for Iko Uwais. I hope Iko has more screen time in this then it will be something watchable. The reason i clicked the video is "Iko Uwais". will watch anything Iko Uwais is in. wasted in Star Wars: The Force Awakens and Beyond Skyline was a straight to VOD US release. hopefully this propels him into the mainstream movie goer's conscience and leads to more roles in bigger films. I'm here just for uwais..
At first I was like I don't know another cheesy movie but then I saw the dude from The Raid in it and I was like hell yeah!!! This looks like Sicario with a lot of boom. I'm in. 99% of thw comment: Iko Uwais.